It's no lie: In Pennsylvania, drive sober or get pulled over. State police drove the lesson home over Thanksgiving weekend when they arrested 610 motorists for driving under the influence of drugs or alcohol—up from 558 over the same period last year. There were 61 alcohol-related crashes over the holiday weekend. Two were fatal. 13,941 speeding citations were issued. 1,264 people were cited for not wearing their seat belts. 183 citations were issued to drivers for not securing children appropriately. Irresponsible driving habits (i.e. not wearing your seatbelt) and reckless decision-making behind the wheel (i.e. driving while impaired) can quickly turn tragic. We know. For more than 30 years our lawyers have helped victims of DUI accidents pick up the pieces and get the financial compensation they need to pay for surgeries, medical bills, lost wages and more. We hope you never become a victim. We equally hope you're never responsible for making someone else—a pedestrian, passenger or other motorist—a victim, either. So wear your seatbelt, make sure children in your car are properly secured, and please, don't drive under the influence. Summoning an Uber or Lyft. Know your limit. If you've had too much to drink and don't have a designated driver, can't call a cab and ride-sharing services are unavailable, consider crashing on a couch or staying put until you're no longer impaired. Understand Pennsylvania's social host law—and don't overserve your guests. Have non-alcoholic beverages available for your guests who are serving as designated drivers. Have the numbers for local cab companies available in case you have to help a guest call one. Consider downloading the Uber and Lyft apps for this same reason. 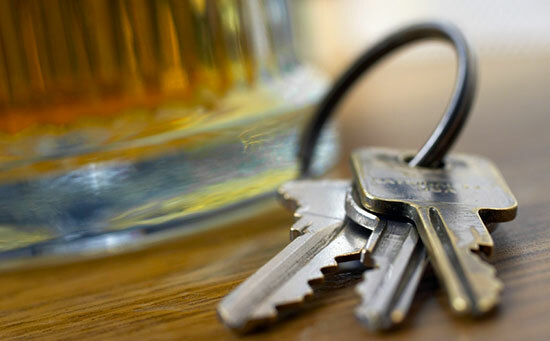 Let guests know that they can stay if they need to—and be prepared to take away car keys from a friend or loved one if they are too impaired to drive. Don't drink. Period. End of story. We hope this holiday season is a happy one for you and your family—and that you take every possible precaution to ensure it's a safe one, too. However, our legal team knows all too well that accidents can and do happen, even when you've done all you can to avoid them. If you or someone you love has been seriously injured in a car accident, know that we are here to help 24/7. Call us today for a free case review.